Shah said the party just had to win Baramati, Pawar's home turf. 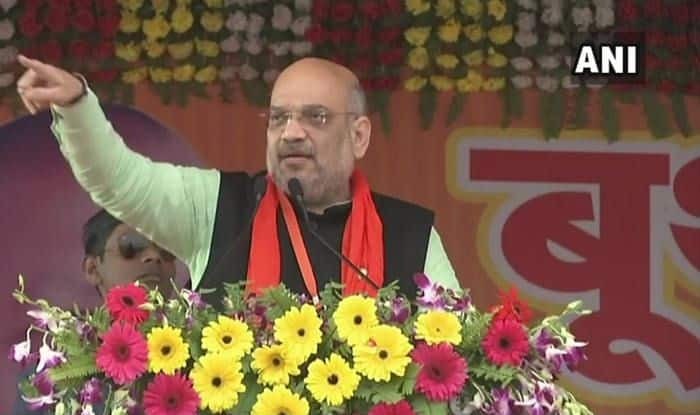 “In Maharashtra, if our alliance wins less than 45 seats, it will not be deemed a victory,” Shah said at a review meeting for three constituencies of Pune, Baramati and Shirur. However, what would be worth watching out for would be whether the Sena and the BJP go to polls together. “I want my party workers to win me 45 seats from the state, and to achieve that we will have to win the Baramati seat. If we win Baramati, the number 45 can be achieved,” he said. Baramati is currently represented by Pawar’s daughter Supriya Sule. “Not a single seat should go to the people who were involved in corruption in Maharashtra… not a single seat should be left to the people who talk about human rights of immigrants,” the BJP president said. State BJP chief Raosaheb Danve expressed confidence that they would win 43 seats, one more than in 2014. Chief Minister Devendra Fadnavis said the BJP was ready to fight elections alone. “We are ready to fight on all 48 seats with full strength… the 43rd seat Danve talks about is Baramati,” he said.